I like this deck - lots of tricksy things going on; a very black deck. That said, I think that its main issue is that it's trying to do too many tricksy things. I think that this deck has two or three strategies, and I think that you may want to refocus on one just one. 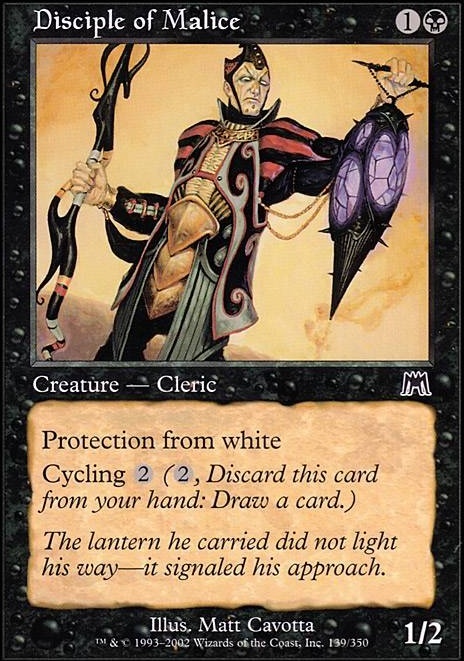 Current strategies of the deck are: - Use Dark Supplicant to cheat out Scion of Darkness - Use Crypt Ghast, Magus of the Coffers, or Nykthos, Shrine to Nyx to mana ramp up to being able to play Nefarox, Overlord of Grixis, Grave Betrayal, Scion of Darkness, or Rise of the Dark Realms - Use life-trading effects like Essence Harvest, Sangromancer, Divinity of Pride, and Gray Merchant of Asphodel to heal yourself/kill opponent. - Aggro/direct damage to your opponent via Bad Moon, Hand of Cruelty, or Graveblade Marauder. 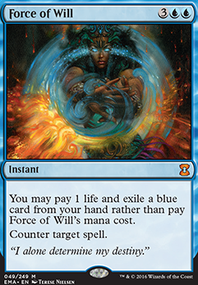 I see these as the main "win conditions" of the deck. 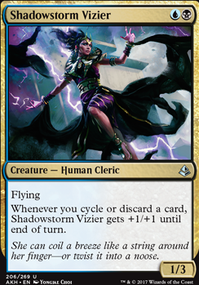 You're also running a lot of graveyard (Phyrexian Reclamation, Death Denied, Rise of the Dark Realms) and control (Scepter of Fugue, Mutilate), but I see these as primarily existing to support the above strategies, rather than endgames in and of themselves. I think that the best way to improve this deck is to choose one or two of these approaches and focus on them specifically. I'm going to give my suggestions. Note that the goal here is to make this deck fun for you to play. For this reason, I'm curious to hear what you really want to do with this deck. Given the name and themeing of the cards, I think that you're more interested in graveyard effects than anything else. This would focus on Death Denied, Graveblade Marauder, and Rise of the Dark Realms more than anything else. 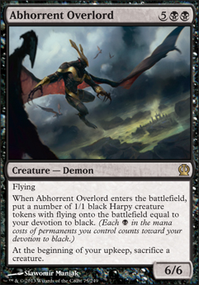 The goal would be to stall with deathtouch creatures (consider Fetid Imp as a good flying defense), board wipes, and milling, until pulling out Rise of the Dark Realms or massive damage with Graveblade Marauder. There's a TON of ways that you could go forward with this, such as focusing on zombies specifically. This would focus on Dark Supplicant and Scion of Darkness. 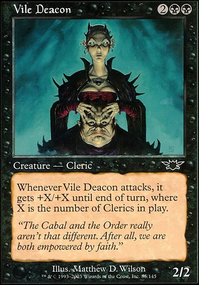 Consider adding cards that allow you to sacrifice cards ad nauseam:(http://gatherer.wizards.com/Pages/Search/[email protected]%28+[B]%29&text=+[%22Sacrifice%20a%20creature:%22]). Altar's Reap or Carnage Altar in particular to improve card draw. No Rest for the Wicked could be a useful way to perform combo effects by returning sacrificed creatures to the battlefield. This type of deck seems to be coming back into vogue, with lots of good cards for it in the last few blocks. 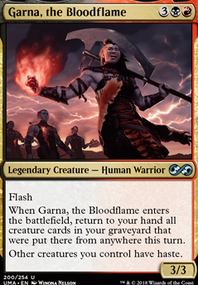 Consider looking at Blood Artist, Zulaport Cutthroat, or Butcher of Malakir as ways of weaponizing the creatures you've sacrificed. Personally, I like this direction the most. I'm biased because I like A) Theme decks and B) Complicated strategies. This deck, if built, would likely be a little unreliable. That said, you have a lot of directions to go.